April is a great time to get started with gardening in the Northeast since snow has become a memory, and everyone is looking forward to warmer months ahead. If you’ve been thinking about heading outside to do some gardening here are some tips you can use to create an excellent garden for everyone to enjoy. Before you can start the fun of gardening the first things you need to do is clean up your garden and remove debris that’s left from fall and winter. Use a hand rake to rake up piles of dead leaves, twigs and tree branches in your flower beds or other garden areas, while being watchful to not pull up bulbs that may be sprouting right now. Tip – After raking up your yard you should apply fertilizer, then herbicide, to prevent crab grass and weeds from growing in your lawn once your grass starts growing again. 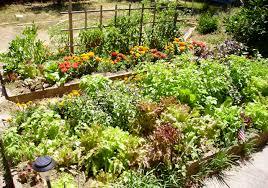 Now that your garden is cleaned up the next step is for you to start preparing the soil for planting. Use a rake or hoe to till the soil in your garden until it is free of roots and will crumble easily in your hands. After tilling the soil in your garden you should apply a bag of manure since its nutrient rich and excellent for any garden. Once your garden is cleaned up and fertilized the next step is for you to start planting seed including vegetable seeds like: radishes, lettuce, cauliflower, and broccoli then flower seed like Marigolds or Zinnas. Warmth loving plants like tomatoes or eggplants should be started indoors from seed and transplanted in the garden by the first week of May. Hometown Home Buyers LLC is here to help homeowners out of any kind of distressed situation. As investors, we are in business to make a modest profit on any deal; however we can help homeowners out of just about any situation, no matter what! If you’ve been thinking about selling your home contact Hometown Home Buyers today by calling us at (860) 749-1000 or click here to connect with us online.